FK-EU fire dampers are used for the isolation of duct penetrations between fire compartments; they come in many different construction variants and are suitable for a variety of application situations. What is new is that the FK-EU has just been tested and approved for several new applications. Ceilings with wooden beams can pose a problem in new builds as well as in refurbishments. One would think that a different fire damper test is required for every single type of ceiling. TROX has, however, found an intelligent solution: The part of the fire damper which is above the ceiling is cast in a piece of concrete such that a small solid ceiling slab is created around the damper. This solution can be used for almost all fire-rated ceilings; the combination of a solid ceiling slab with a wooden beam ceiling has been tested and certified. 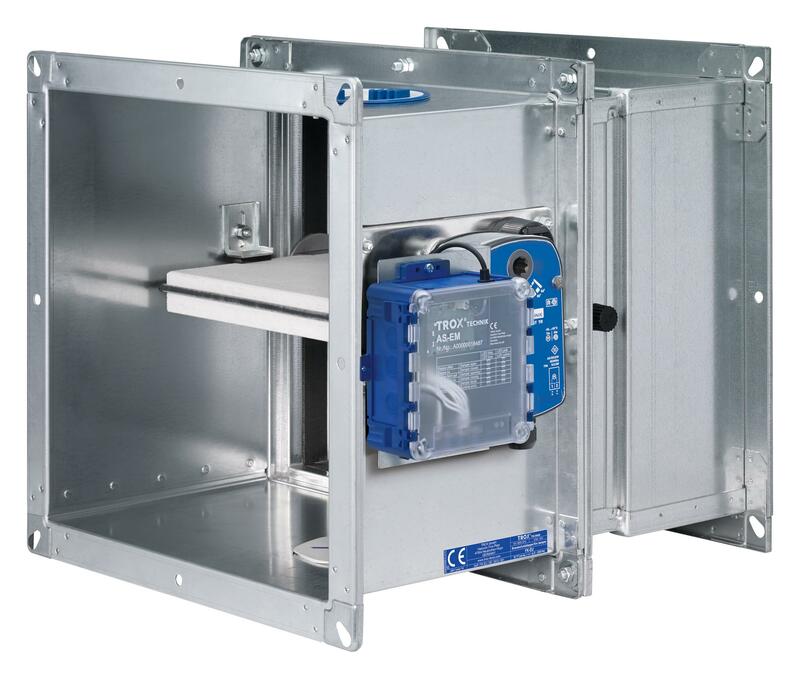 Fire dampers in lightweight partition walls are a standard application. This application may pose difficulties if there are space constraints or if the original design of the building changes. In the case of mortar-based installation, a reduced distance to ceilings and floors was approved a long time ago. 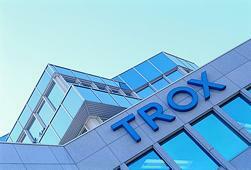 Now TROX has also received approval for dry mortarless installation with reduced distances. The part of the installation kit that faces the ceiling or floor has to be removed, and the gap between the damper and the trim panel has to be sealed. This solution allows for distances of only 40 to 45 mm. For details download the brochure: The TOP 3 - New applications for the FK-EU fire damper or see the Type FK-EU product page .